Online employee training isn’t a nice-to-have tool in your knowledge management toolbox, it’s a must-have tool. Training online creates consistency in your training message, improves efficiency in training time, and streamlines training administration tasks. All training topics can be delivered online, but that doesn’t mean they should be exclusively delivered online. Once you’ve identified the training topics your employees need, ask yourself these five questions to determine the suitability of each content topic for online delivery. Is the training compliance related? Most all companies are regulated in some way, with some needing to deliver much more compliance training than others. Any topic that your employees are required by law to understand and implement should be delivered online. 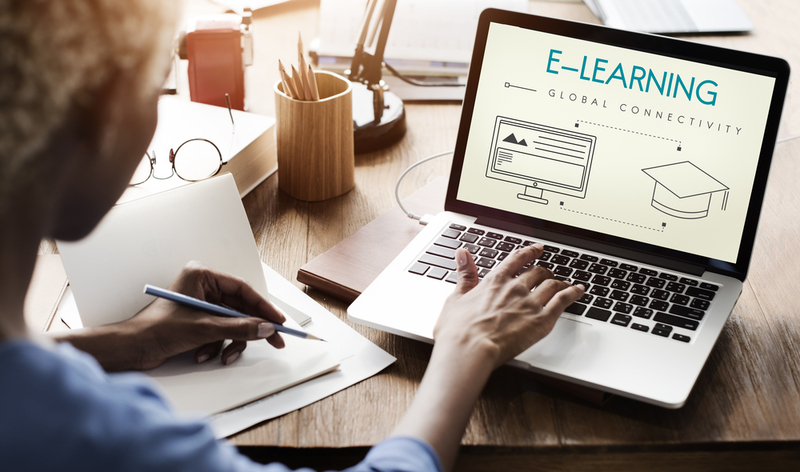 With your online learning management system, you can track employee completion of compliance training and conduct necessary follow up to ensure employees implement the training effectively. Does the content need to be delivered to a large number of people? The term “large” is relative here and applies not just to the number of people who need the training now, but also to the number of people who need trained on this topic down the road. For example, if the topic is part of a new employee orientation program, it’s well-suited to online delivery. Is your audience diverse in location, skill level, or experience? Online employee training levels the playing field by giving all trainees a common foundation of knowledge from which to grow. Online learning programs can also be delivered 24-7, a critical component for teams that are located throughout the country or work in a variety of shifts. Is your topic time-sensitive? Changes in company policy or procedure require immediate distribution to get all employees on the same page at the same time. Online employee training can be developed quickly and delivered with the click of a button. Is your content complex? Online learning allows trainees to consume knowledge in manageable chunks. Delivering challenging or complicated content through an online employee training system allows trainees time to practice implementing the concept in between levels of learning. If the answer is “yes” to any of these questions, online employee training makes sense for this topic. Remember, though, online learning is most successful when blended with other training methods. Click here for information on RTO’s Learning Management System.